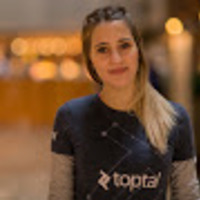 On September 22nd, we’re proud to be partnering with Guaja in Belo Horizonte to organize a Toptal Coworking Day. Come join us for a day of working on Toptal client work, personal projects, or anything in between. If you happen to be in the area that day, make sure to drop by between 10:00 AM and 5:00 PM and say hello. It will be a great opportunity to meet fellow Toptalers, and if you’re not yet familiar with Toptal, this is the perfect place to learn more about it.